Since J.R. Builders started in the construction business, in 1984, we have offered long-lasting value, superior craftsmanship, and quality. Like you, we can't afford anything less! We are here to make sure the job gets done, and gets done right. Ever since we started, we've aimed to be quality-minded, and fair. We pay very close attention to the work done by our crews and subcontractors. It's not that all of our projects run without problems. It's not that we don't make mistakes from time to time. But, our focus is always trying to maintain quality and be fair with people. We think you'll appreciate the difference. 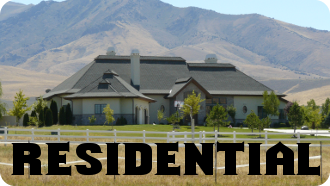 J.R. Builders is probably best known as Winnemucca's fine home builder. Working with us to build the custom home of your dreams is certain to be one of the most exciting ventures of your lifetime! 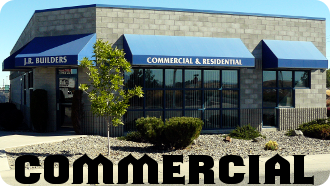 J.R. Builders has more than 15 years of experience building commercial structures. We built many of Winnemucca's garages and shops, several office buildings, and some really impressive edifices, like banks and school buildings. We are the preferred builder for HCI Building Systems. Best of all, we're not too large to take on expansions and remodeling projects for small businesses! 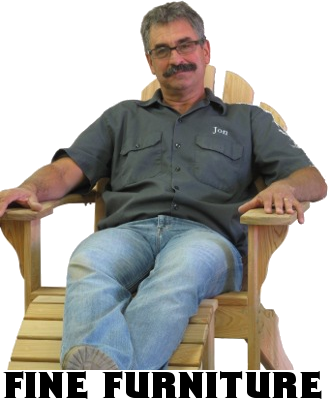 Did you know JR Builders sells furniture, too?